Hot off the press, the latest edition of Drinking Thinking is here and it’s jam-packed with brilliant ideas. The summer sun is on its way (we hope) so it is important to stay ahead of the trends and keep your menus fresh. As well as full details on our fabulous new products we have recipes galore and lots of tips to keep you on track all summer long. You can check out Drinking Thinking online right now or email hello@beyondthebean.com if you would like a printed version sent to you. Good news – just in time for the warmer months, we are launching a brand new range of Sweetbird Fruit Purées. 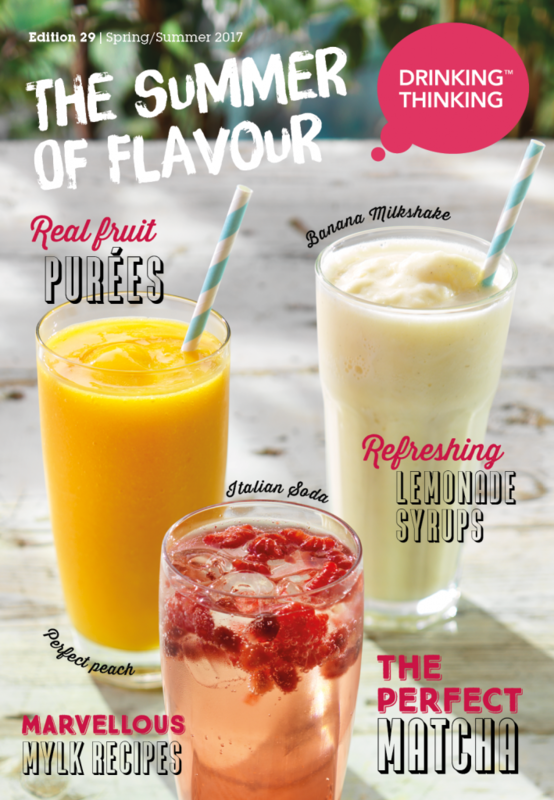 Bursting with real fruit, our Purées are the versatile ingredient for all your cold drink needs. Available in six fabulously fruity flavours Raspberry, Coconut, Passionfruit, Strawberry, Mango and Banana, you will be able to mix and match until your heart is content. Use them to make a wide range of drinks including milkshakes, sodas, cocktails, mocktails, and smoothies. Deliciously thick and rich, they are also perfect for drizzling and decorating drinks. Download full details of the whole Purée range here. The new products don’t stop there. After the roaring success of the Sweetbird Pink Grapefruit and Traditional Lemonade Syrups we thought it was about time we introduced a brand new flavour into the range. Everyone meet Raspberry and Pomegranate. The new flavour fusion will make the perfect addition to compliment the other flavours in the collection, completing the set in time for summer. 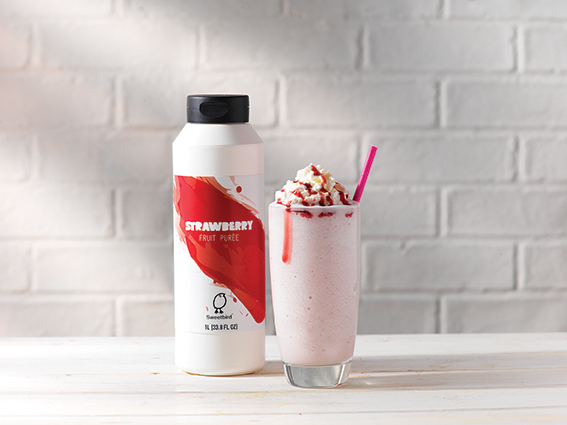 Made with real fruit juice, Raspberry and Pomegranate is a flavour we know is going to be a scorching hit. Making our lemonades couldn’t be simpler. Just four pumps into a glass of still or sparkling water, topped with lots of ice and fruit is all you need. You can make up a big batch in jugs to keep in the fridge for busy shifts, or have a glass drinks dispenser on the counter as an enticing thirst quenching reminder to customers. 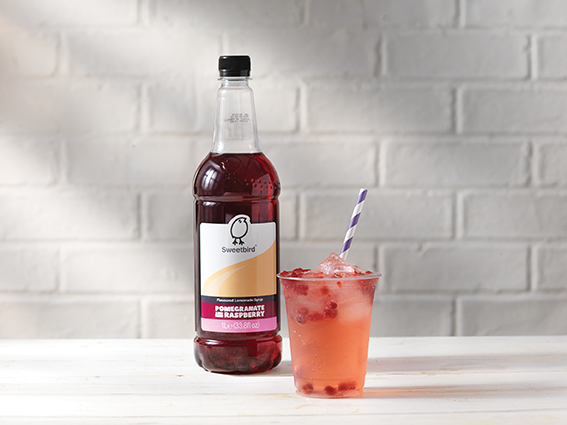 You can download detailed information on the whole Lemonade Syrup range here. So what are you waiting for? Try out our recipes from the latest Drinking Thinking and make sure your menu is summer ready.